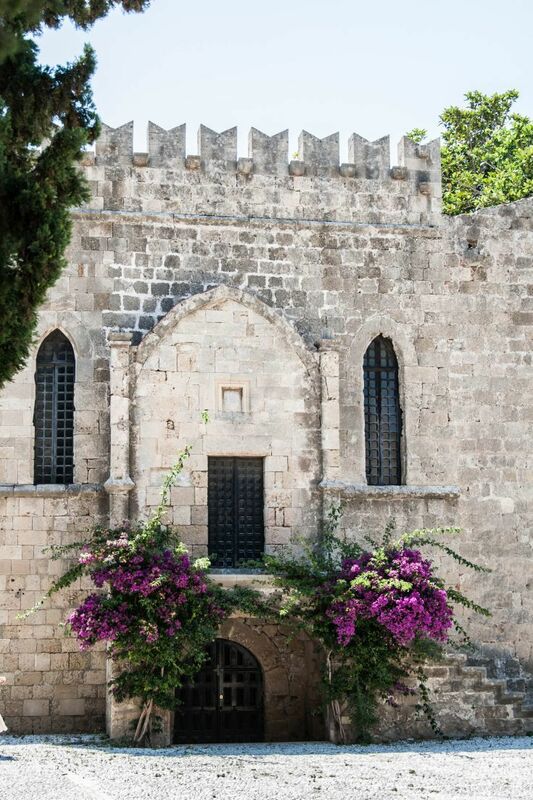 Just 53 miles from Marmaris, Turkey, lays the largest of the Dodecanese Island, Rhodes. 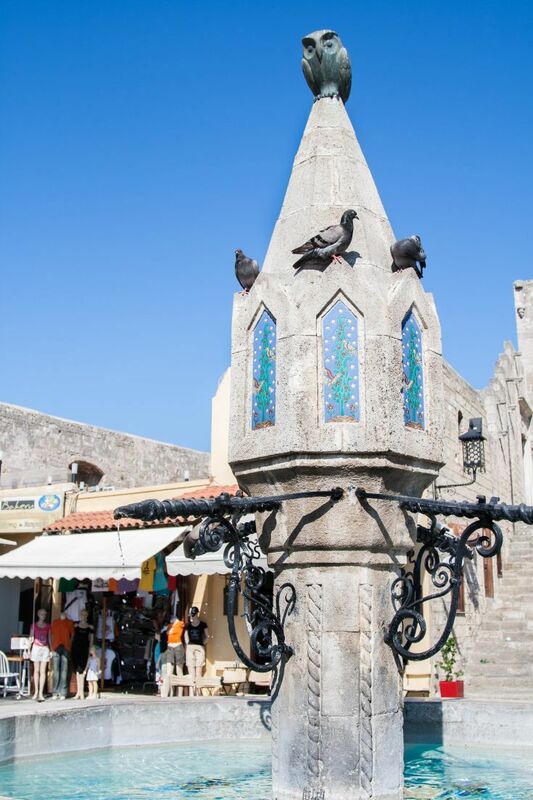 Crawling with tourists, mostly from cruise ships, Rhodes is famous for its rich medieval history. 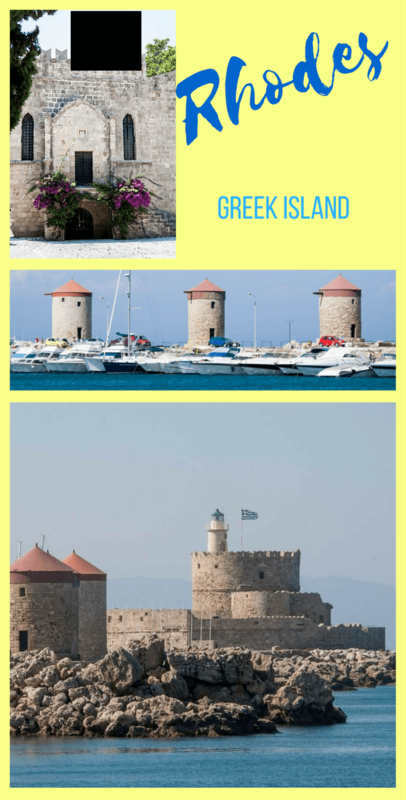 As you pull into port you are faced immediately with the formidable fortress walls built by the Knights Templar and Hospitaller (the Order of St. John, now known as the Sovereign Order of Malta). 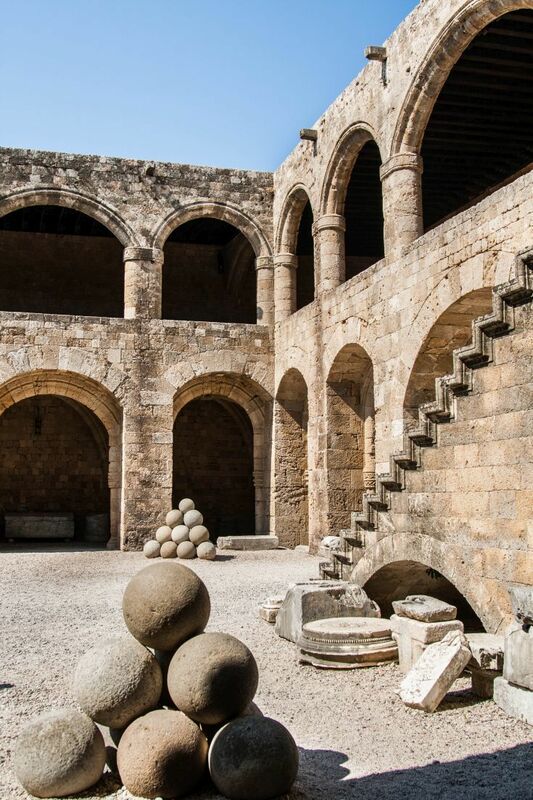 Loving a great walled city, we headed over for a weekend trip looking for all the fantastic things to do in Rhodes. Long fought over, a wise, albeit greedy Genovese adventurer wanted Rhodes all to himself, so he convinced the Knights Templar that the Turkish infidels had to go. Pope Clement V readily agreed with him, and in 1306 the Holy Wars of Rhodes began. It took two long, hard years to wrest it from the Byzantine emperor Adronicus II’s grasp, but once won, the Knights built up the island and made it a major shipping port for the next couple hundred years. 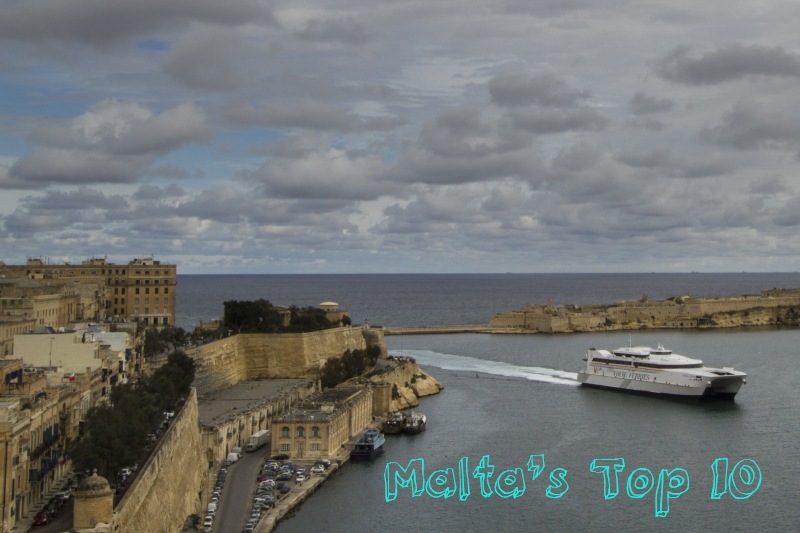 We disembarked on a sultry June afternoon, ready to be wowed by this UNESCO World Heritage Site. We were immediately impressed with the architecture and quaintness of the old town. We had run into a snag at the Turkish port. Even though we had paid in full, the port authorities had no record of this. After a few panicked minutes, all was straightened out and we were allowed to board the ferry, but were implored upon to check our return tickets as soon as we arrived. We were met by Anne, an American-Greek woman who spoke Californian accented English, and she briskly set off to take care of us. She loaded us into the oldest, most broken down jalopy of a car that I’ve seen in decades and whisked us off to our pension. 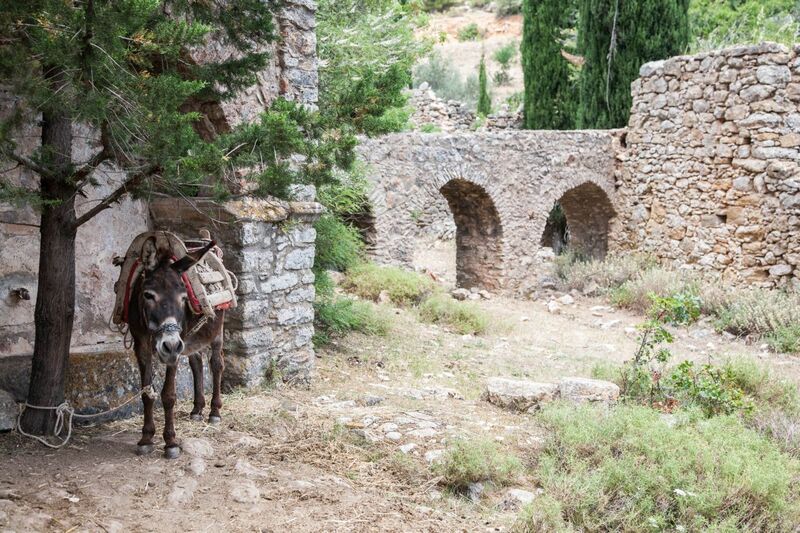 There we were met by a French woman, named Celeste and given some ouzo as a welcome drink. She proceeded to tell us where to go, what to see, where to eat, and much, much more on our grape-vine covered breezy terrace. Already, I could feel the tension falling from my shoulders as we began to feel like this was truly a vacation. We stayed at the Hotel Andreas right in the middle of the old town. Delightful. 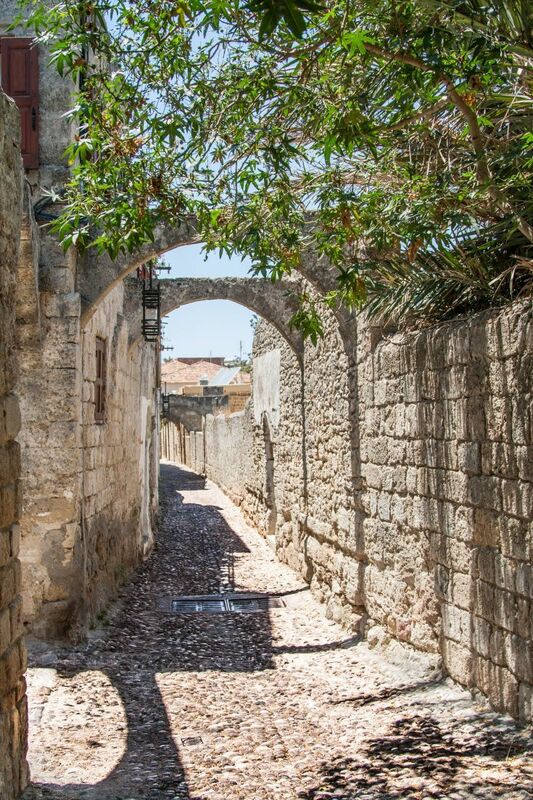 We soon headed out to see the fortress, St. John’s Gate, the archaeological museum, and just wander along the intermittently shaded or blazing hot alleyways of the old town. 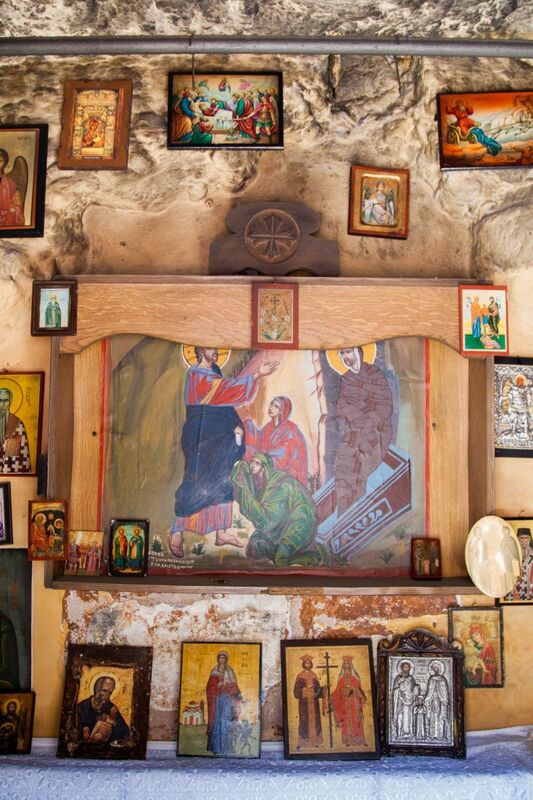 We walked, we photographed, we feasted on Greek delicacies, we shopped, and we chatted with anyone who would talk to us. In short, we had a blast. 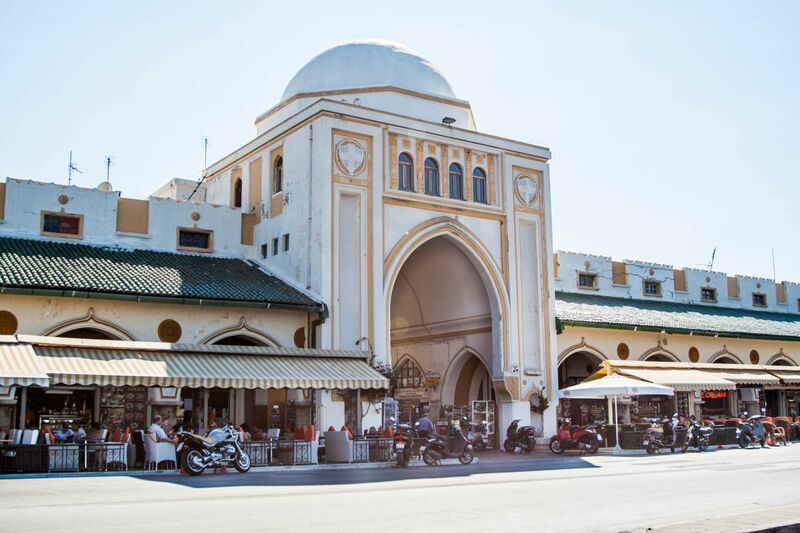 It was wonderful not to have to have a car to see all the sights, and although jumping out of the way of the careening motor bikes added a bit of adventurism, we enjoyed the role of being a tourist and exploring someplace brand new. One of the added benefits of being in Greece after a year in Muslim Turkey was….pork! Oh how good it tasted at the local gyros stand. We didn’t even mind having to sit on a curb while diving into the delectable pita covered tzatsiki, tomato, onion, and pork shavings. Delicious! Getting to Rhodes: From Marmaris, there is a 45 minute catamaran that runs to Rhodes in the summer every day except Thursdays. We booked on this website, but as I mentioned had a little trouble. There were many people who just showed up at the dock and had room to go, so I’m not sure if pre-booking is even necessary. The ferry leaves in the morning and returns in the evening, so we were able to see and do everything we wanted to do in just two days. 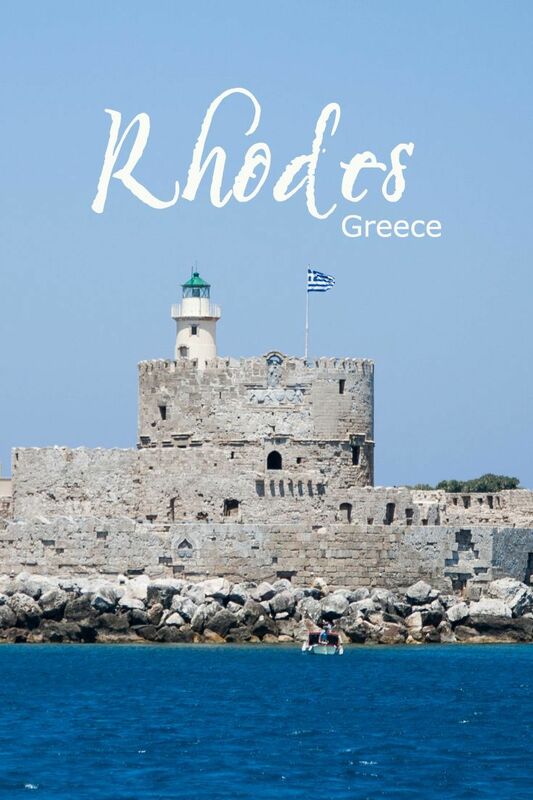 Have you been to Rhodes? Any tips? hi. me and my best friend are trAvelling to Greece and turkey in June. are there any cheap you can recommend in turkey. love to learn about the historic sites either a guide. prices in Australia are so expensive though, especially boo through a travel agent. I’m sure there a’re probably cheaper tours available over there. is there anything you can recommend? I think you should just book your airfare to Turkey. Accommodations and tours are plentiful and much cheaper by the day than a package tour. No worries, there is plenty to do! Let me know if you have questions! Have a great trip! Hello! 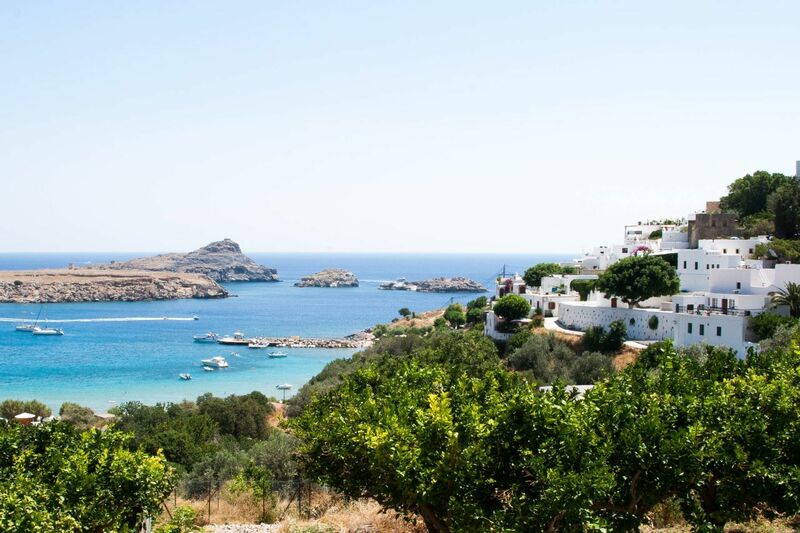 I have always wanted to travel to Turkey, and had not even thought about the accessibility to the greek islands. Did you travel into the other islands as well as Athens? How accessible are all the other islands? Hoover, We visited a few of the islands. You could do a lot more if you have the time. The ferry schedules didn’t always work for us, but what we did, we absolutely loved! George, You would love it. Beautiful island.